A coalition of Spanish feminist associations have denounced mistreatment experienced by victims of domestic abuse in some Spanish courtrooms and have filed the first in a series of lawsuits aimed at exposing the “authoritarian attitudes” and “lack of respect” toward gender-violence victims that they claim still exist within the Spanish justice system. On Monday, the organizations held a press conference to publicize the filing at the Madrid headquarters of the General Council of the Judiciary (CGPJ) of the first two of the lawsuits, which include a case against a court in Arganda del Rey in the Madrid regional community and another filed on behalf of several women against a court in Sagunto, in the Valencian community. 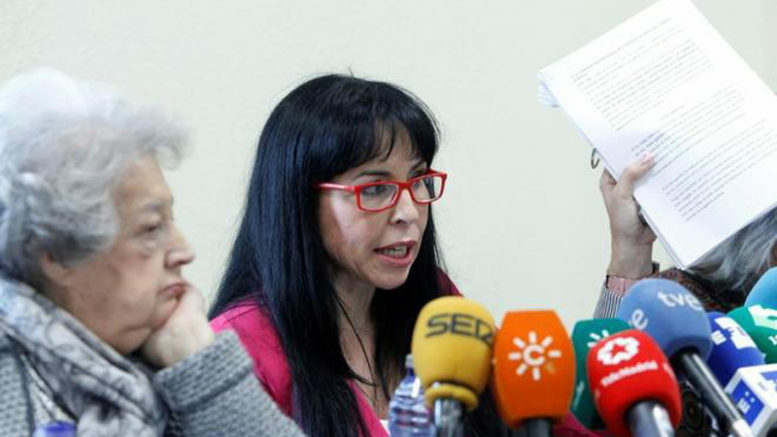 The feminist groups say that exemplifying the kind of treatment victims too often receive is the case of of Isabel López de la Torre against the Arganda del Rey court. According to the lawsuit filed on López de la Torre’s behalf, after appearing before the court with still-visible bruises and strangulation marks to denounce repeated beatings at the hands of her then-husband, her own testimony was called into question and she was issued with a restraining order and prevented from seeing her 18-month-old daughter because her husband had filed a counter-suit with the court. Only after the trial ran its full course and her ex-husband was finally sentenced to nearly three years in prison was López de la Torre reunited with her daughter. The women’s organizations said they have decided on the strategy of filing the series of lawsuits to publicize the mistreatment women are receiving in some courts after years of fielding a steady stream of complaints from victims who say they are being denied adequate legal counsel, are faced with authoritarian attitudes on the part of judges and court officials, see the perpetrators of the abuse get off with light sentences and receive insufficient protection through the courts and law enforcement agencies once their abusers are released from jail.